James T. Walsh, a partner of the firm, focuses on real estate, corporate, estate and not for profit matters. His practice includes representing clients in purchases and sales of real estate and in the drafting of wills, trusts, powers of attorneys and health care proxies. He prepares and files petitions to the Surrogate’s Courts on behalf of executors and administrators of estates and represents clients before the Surrogate’s Courts of the State of New York. He advises clients on family wealth preservation and intra-family property transfers and with Charles D. Mooney and Thomas J. Mitchell advises the boards of many not for profit corporations on governance issues and best practices. 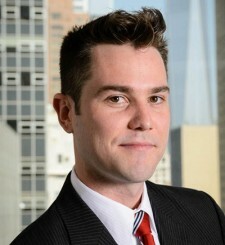 James joined McCanliss & Early in 2009 after working as a junior associate at a small firm specializing in representation of housing authorities. In his personal life James serves as Chairman and Executive Director of a not for profit artists’ collective he founded in 2010.